New York is a large northeastern state best known for bustling New York City, made up of five boroughs, including Manhattan, one of the nation’s foremost financial, cultural, tourism, and performing arts centers. The state of New York is home to 19.8 million people, which is the third largest state population in the country. The capital city of New York, Albany, is located much closer to neighboring Massachusetts and New Hampshire than New York City. According to the New York State Office of Alcoholism and Substance Abuse Services, more than 1.9 million New Yorkers have a substance abuse problem, and an additional 750,000 New Yorkers are reported to have a gambling problem. New York State officials are currently working to expand addiction treatment and recovery resources for residents and this growing need for help. As home to the most populous city in the nation. New York City influences statistics for the state in almost every category. This melting pot of diversity causes New York statistics to represent those of the nation for many metrics, according to the Behavioral Health Barometer. From illicit drug use to cigarette smoking and outcomes of treatment, New Yorkers are largely on par with national averages as of 2014. New York is also being impacted by the opioid crisis, with an opioid overdose death rate of 15.1 deaths per 100,000 people in 2016. According to the National Institute on Drug Abuse (NIDA), the rate of overdose deaths in New York remained stable through 2009 and then doubled over the next seven years. Additionally, NIDA reports that heroin-related deaths in the state more than doubled, and overdose deaths related to the synthetic opioid, fentanyl, increased tenfold between 2012 and 2016. Notably, opioid-related emergency department visits increased 73 percent from 2010 to 2014, and addiction treatment admissions including any opioid as the primary, secondary, or tertiary drug problem rose 19 percent over the same period. According to the 2015 Treatment Episode Data Set (TEDS), 103,480 of the total 281,335 treatment admissions that year were for heroin or other opioids as the primary drug of abuse. 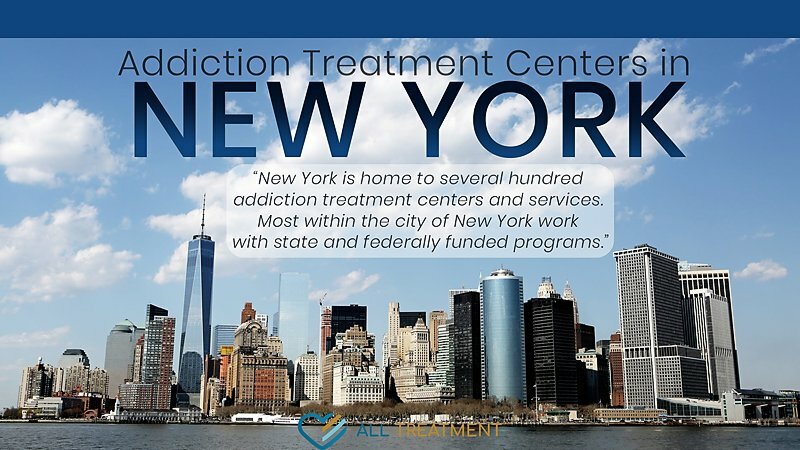 New York is home to several-hundred addiction treatment centers and services, and most within the city of New York work with state and federally funded programs.